Lois R. Weiner Consultants, Inc. | Specializes in recruiting partners for top tier law firms of all sizes. LOIS R. WEINER CONSULTANTS, INC. Talent is like the marksman who hits a target, which others cannot reach. Genius is like the marksman who hits a target, which others cannot see. – XIXth Century Philosopher Arthur Schopenhauer. Attracting first-rate talent is crucial to driving a law firm’s continued success. Lois Weiner brings her proven strategic approach to each search by harmonizing the host law firm’s objectives and culture with the professional requirements and concerns of the candidate(s), creating a synergistic opportunity for practice building. Lois R. Weiner Consultants, Inc specializes in recruiting partners for highly ranked law firms of all sizes. For decades, law firms throughout the US and UK have relied on Lois and her colleagues for their targeted expansion needs in New York City. Lois has nurtured deep relationships with decision-making partners in New York’s legal community. Based on experience, she has developed an intuitive understanding of individual personalities and partnership dynamics. This, coupled with her intense research protocol and natural curiosity, enables her to accurately and repeatedly create winning and long-lasting matches. Lois carefully listens to a client’s professional objectives in order to craft an effective individualized recruitment strategy. Since there are more similarities amongst law firms as institutions than there are differences, Lois identifies those firms whose platforms present specific opportunities for professional advancement along with economic growth for a given candidate or group. Lois is prepared to analyze the comparative advantages and disadvantages of every suggested referral. Candidates meet those partners who can and will facilitate the recruitment process. Lois Weiner is a trusted advisor and recruiter to law firms with outstanding practice sets. Based on a keen understanding of the evolution of the four generic law firm models (global, international, regional and boutique/marquee), Lois has pioneered a distinct approach to search. By analyzing the strengths and weaknesses of individual firms in each model, she is better positioned to pair the candidate with the appropriate paradigm. Lois has extensive experience assisting in compensation negotiations that incentivize and provide equitable financial arrangements consistent with a candidate(s) practice base and profitably of the host firm. “Gotcha-deals” are more likely to fail than to succeed, exacerbating turnover issues. In stark contrast, long-term success is predicted when the firm and candidate(s) negotiate an economic agreement that incentivizes both. Lois understands, respects, and honors the fundamental need for confidentiality during the search process as well as in continuing conversations. Lois Weiner is a respected entrepreneur and leader in the field of partner recruiting and consulting. 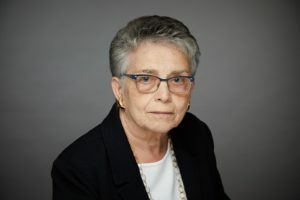 Her specific expertise in pairing lawyers with US and UK firms, has distinguished Lois R. Weiner Consultants as the go-to recruiter among law firms seeking to strategically enhance their New York City presence. Her reputation for excellence has evolved from her ability to identify long-term opportunities for practice building in culturally compatible platforms. Lois founded Lois R. Weiner Consultants, Inc. after working for two general placement firms. While growing her business, she met and developed core relationships with associates who have gone on to become decision-making partners. Her deep historical knowledge of evolving law firm trends and broad network of impact partner relationships has positioned Lois to make nuanced recommendations to both host law firms and candidates. Indeed, Lois has built her business by seeing opportunities for long-lasting relationships where others may not. Lois received a BA in Philosophy and English Literature from Connecticut College. She has bred several Champion Dandie Dinmont Terriers, including the first female Dandie who won two Nationally Ranked Best-In-Shows. In addition, she has enjoyed riding with her Anglo-Arab dressage trained horse. Lois resides in NYC with her mixed breed Cairn Terrier rescue, Indie. ©2018 Lois R. Weiner Consultants, Inc.